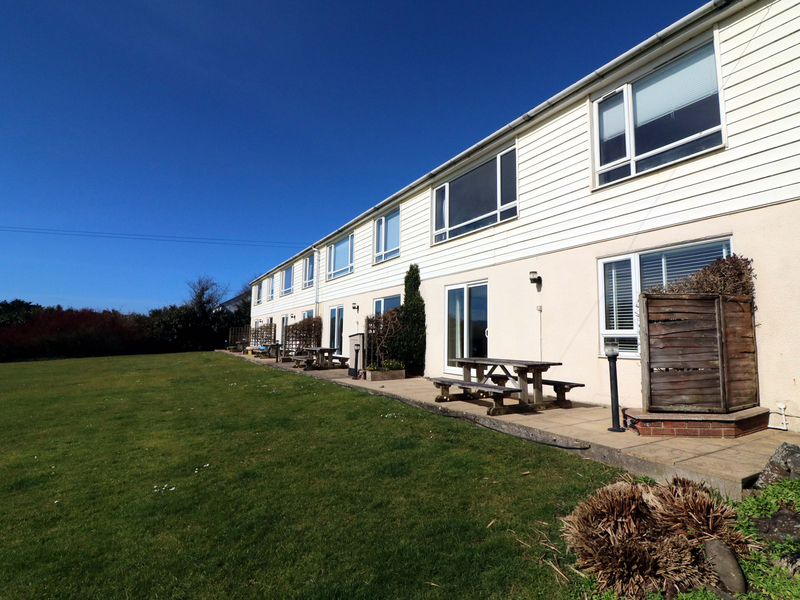 Sky Serene is a heart-warming cottage located in the village of Bude in Cornwall. Hosting two bedrooms; a double, and a room with adult bunks, along with a shower room, this property can sleep up to four people. Inside you will also find a kitchen/diner, and a sitting room. To the outside is off road parking for one car, and a communal enclosed lawned garden with barbecue. Resting in a lovely location with countryside views, Sky Serene is a homely cottage in a relaxing part of England. Electric central heating. Electric oven and hob, microwave, fridge/freezer, 3 x TV, DVD, WiFi, selection of books, games and DVDs. Fuel and power inc. in rent. Bed linen and towels inc. in rent. Travel cot and highchair. Off road parking for one car. Communal enclosed lawned garden with BBQ. Sorry, no smoking. Sorry, no pets. Shop, pub and beach 0.6 miles. Note: property accessed via steps.